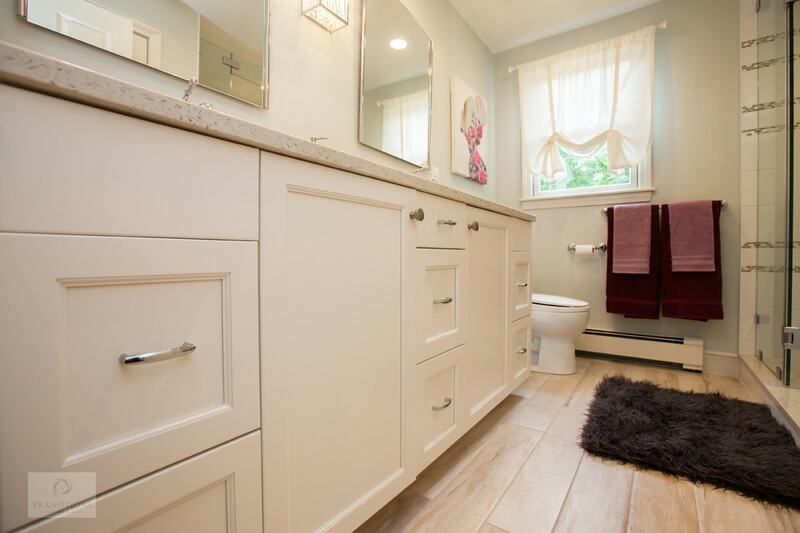 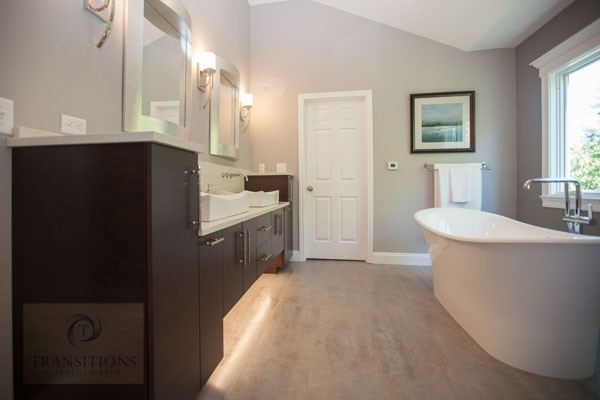 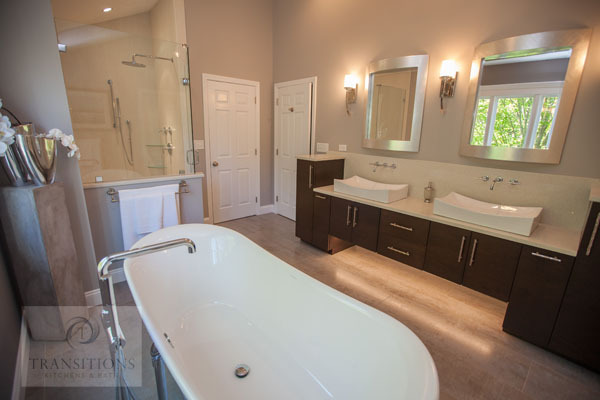 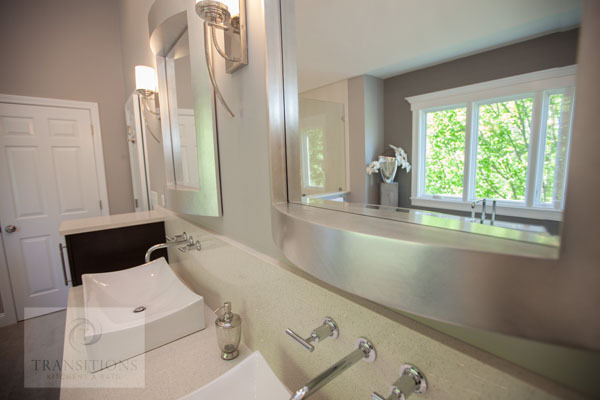 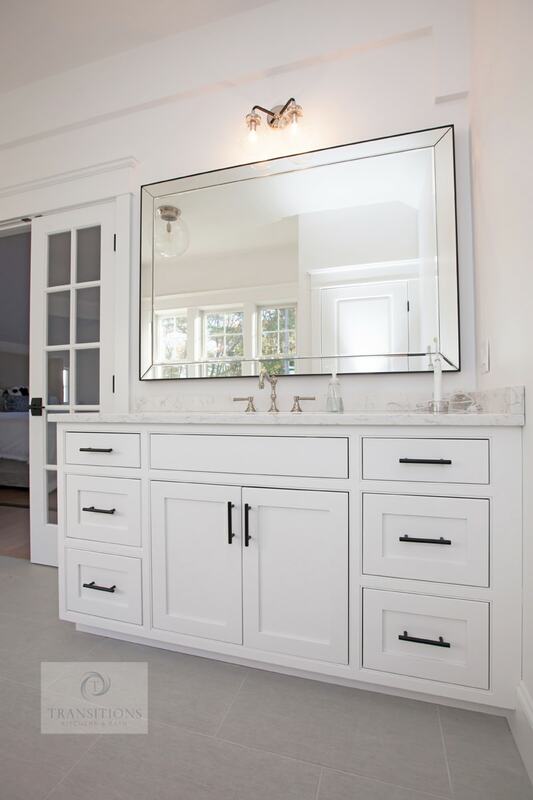 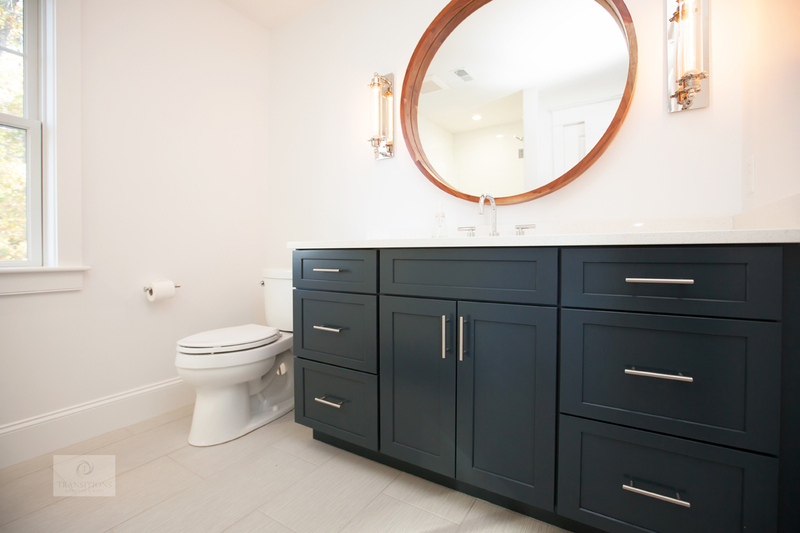 This contemporary bathroom design in Marshfield is the perfect relaxing retreat. 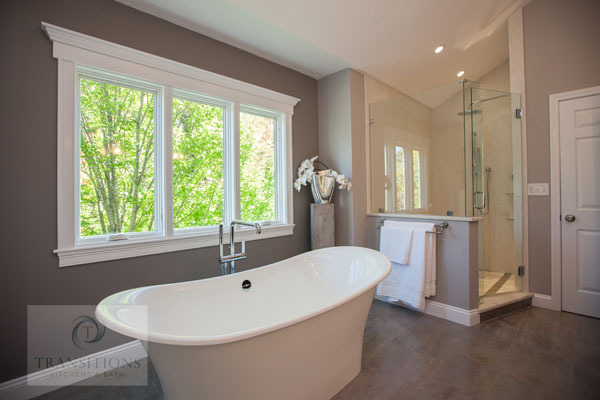 The Victoria & Albert Toulouse freestanding tub serves as a focal point and the large shower has both rainfall and handheld showerheads. 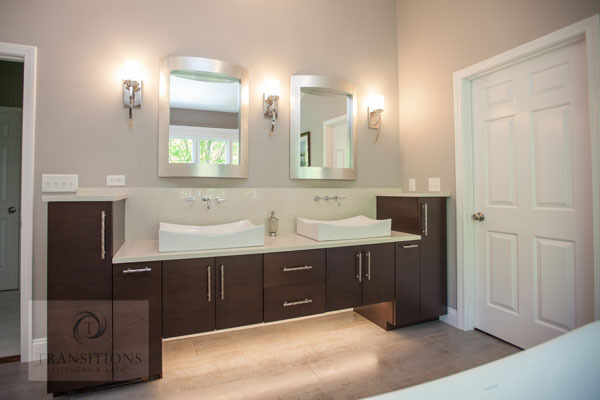 The slab panel style vanity cabinet in a cherry espresso finish contrasts beautifully with the Pental Quartz sparkling white countertop and white vessel sinks. 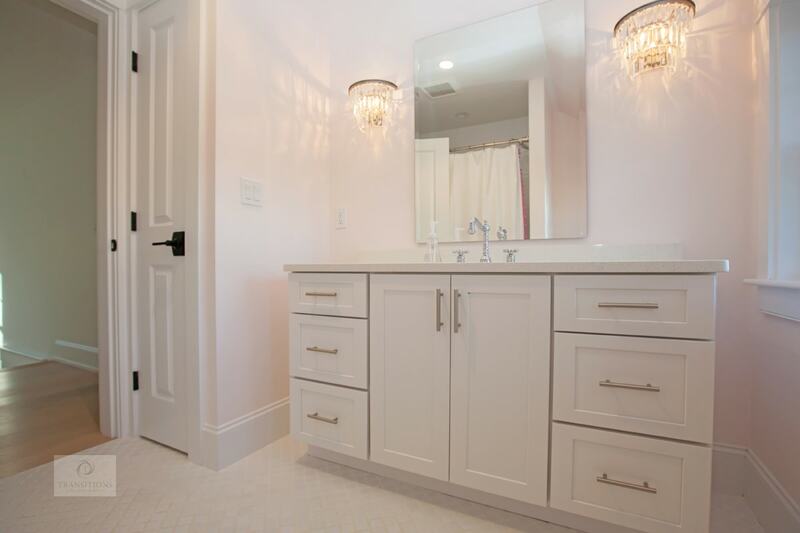 A multi layered lighting scheme provides illumination throughout the space, including undercabinet lighting. 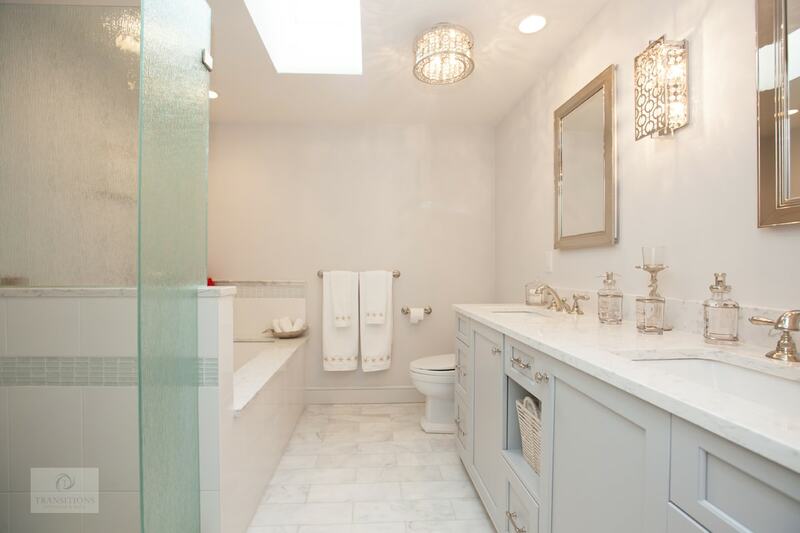 This is the perfect space to wind down at the end of a long day.